Is Re-Roofing in Michigan Right for You? When you need a new roof on your home in Michigan the roofing contractor will likely give you the choice of re-roofing in Michigan or getting a complete tear off and installation of a new roof. There are some differences in each type of project and if you’re not careful you may choose an option that costs more. In this article I’ll go over some of the key differences in re-roofing in Michigan and tear off and installation roofing to give you a better understanding of what you should choose. In the end, you will be the one to make the final decision, so the more you know and understand your options, the better qualified you will be to make the final decision. So, let’s get started with knowing the difference between the two. 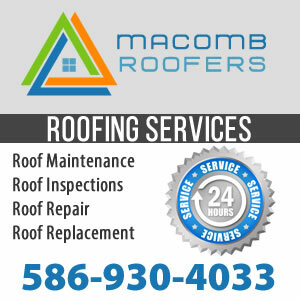 Re-roofing in Michigan has been around for some time and it has been done on many of the homes in Michigan. In fact, most homes will use this type of roofing installation at least once although it may not be a good idea. It’s best to speak with the roofing contractor about your specific roof and what they recommend when it comes to getting a new roof installed. Knowing the difference in the types of roof installations however can give you a much better understanding as a consumer in this process. This article will help you better understand re-roofing in Michigan. Although both roofing projects will allow you to have a new roof installed on your home at the conclusion of the projects they are different in many of the aspects of the roofing installation. The best way to explain re-roofing in Michigan is that the new roof will be installed on top of the old roofing materials. None of the asphalt shingles that are currently installed on the roof will be removed. The new roof is simply attached to the old roof. By using re-roofing on your home you can save money on clean up, labor charges, and even material costs. These saving do come at some disadvantages however which I will go over later in the article. Re-roofing differs from tear off and replacement because in tear off and replacement the entire roof is stripped down to the decking and all the old roofing materials are removed. The roof deck is exposed and then the new roof is applied to the home. There is considerably more debris and labor intensive when using tear off and replacement. One of the biggest advantages of re-roofing in Michigan is price. Re-roofing is less expensive than tear off and replacement. Less labor and materials are used and also the clean up after the project is also less labor intensive. These things add up to savings on the overall roofing project. Re-roofing a home is also quite common practice here in Michigan and once the project is complete your home will be protected with a new roof that should not leak. Re-roofing a home is also quite common practice here in Michigan and once the project is complete your home will be protected with a new roof that should not leak. One of the biggest disadvantages in re-roofing in Michigan is that there can be problems with your roof that are simply covered up. Since the old roof is not removed there can be problems hidden from sight and will still cause problems after the new roof is installed. Most roofing contractors in Michigan will check diligently for problems such as this but the best way to know is by getting a tear off and replacement roof. If there are problems such as dips or rises in your current roof those will also be seen once the new roof is placed on top of it. If your current shingles are in really bad shape you may want to consider getting a complete tear off and replacement done. Building codes in Michigan only allow for a home to be re-roofed once. So if your home has already been re-roofed you’ll need to do a tear off and replacement roof. The weight of a third layer of asphalt shingles is simply too much structurally for most homes and would put a risk on collapsing some areas with less support.